1) Make sure every student in my classroom gets home the right way. 2) Make sure EVERY child who walks out of my classroom door at the end of the day can’t WAIT to come back tomorrow! Truly, if 100% of my students are not jumping into their parents’ cars or bolting through their front door bursting with excitement and smiles, I have not done my job as a first grade teacher. 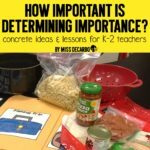 As primary teachers, we have a HUGE responsibility when it comes to teaching. It is, perhaps, one of the most important responsibilities of our careers: Make learning fun. Why is this such an important task? My students are six and seven years old. They are bursting with hope, excitement, and a thirst to learn. School, a place where most of our students will spend the majority of their childhood lives, should be a place where learning is embedded into an environment that is bursting to the seams with engagement, silliness, and FUN! Since we teach little ones, we need to keep in mind that for many children, we are providing our students’ with their first experiences with learning and education. By grabbing their attention from day 1, we are setting the tone that our classroom is a place in which learning and magic collide. 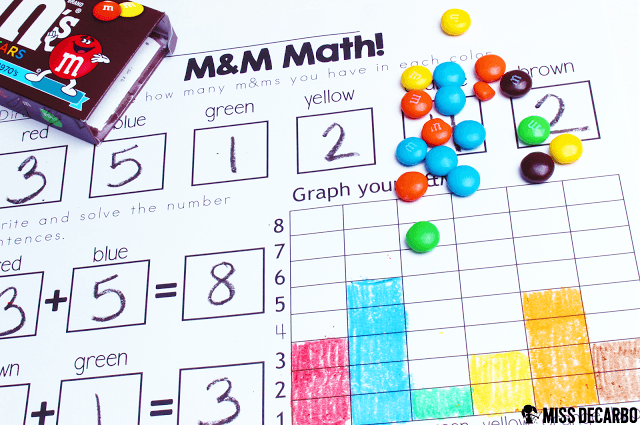 So, how do we add FUN into our classrooms? A big part of this comes from the teacher’s personality. A happy, passionate teacher is a teacher children want to learn from. The other half of this stems from the activities, lessons, and experiences we provide in our classrooms. They need to be engaging, visual, creative, and hands-on. 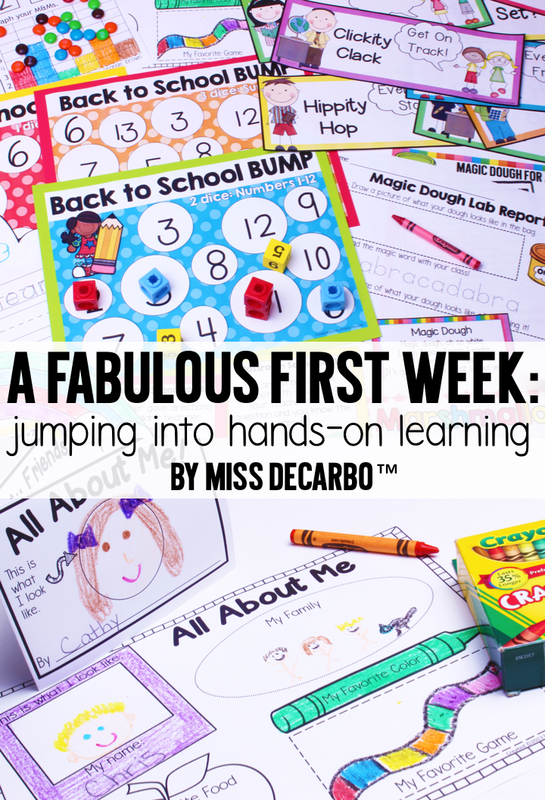 In this post, I’d like to share some of the activities and lessons I complete with my students during our first week together. As veteran teachers and new teachers, deciding what to do during that first week of school can be a daunting task! I’m hoping this post will provide you with plenty of ideas for a fun and engaging first week of school. 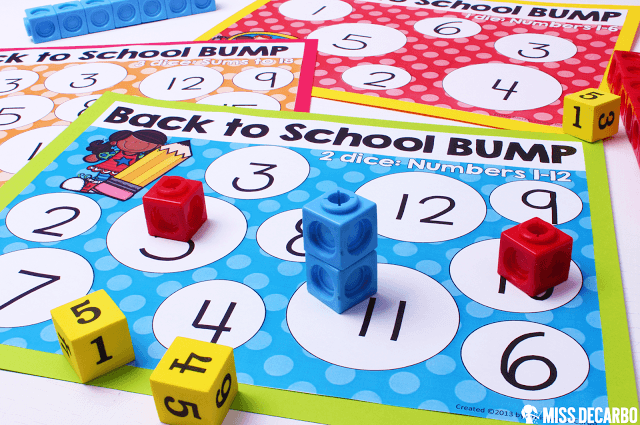 All of these activities serve the purpose of shaping and launching the classroom routine, classroom family, classroom community, and the classroom learning we will embrace throughout our year together. Here we go! 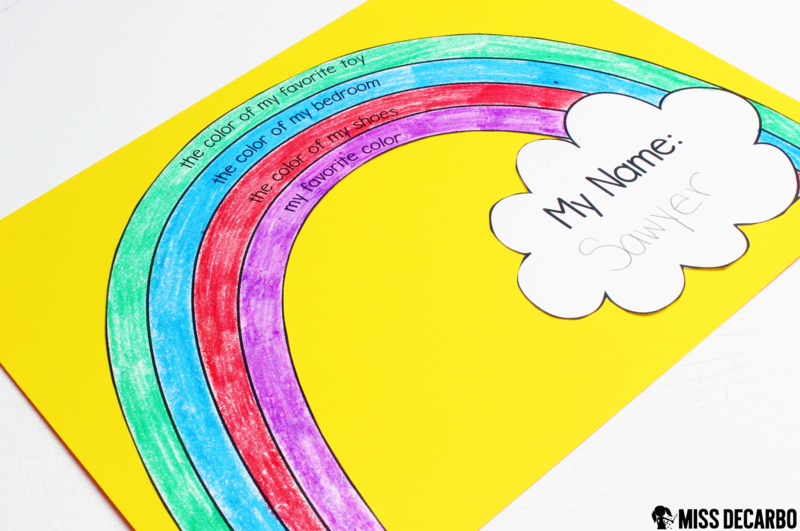 I use this activity on the first day of school and it is the very first thing we do together! The weekend before school starts, I make the magic dough and put the balls of dough into little baggies. I also tape these adorable Magic Dough poem tags onto the bags. 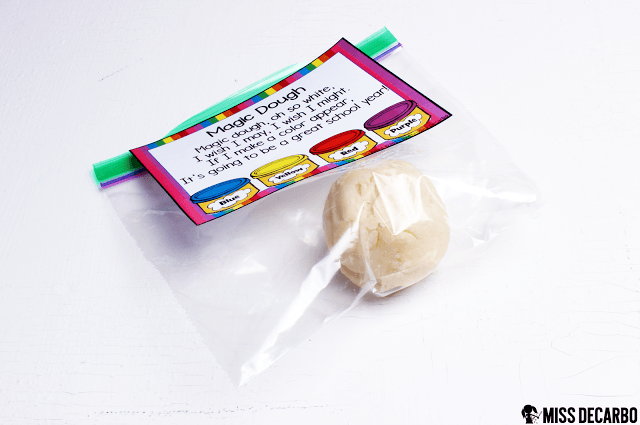 You can find the free recipe for this dough in the free Preview Download of my Back to School First Week Fun Pack. The recipe page can be found at the end of the preview. 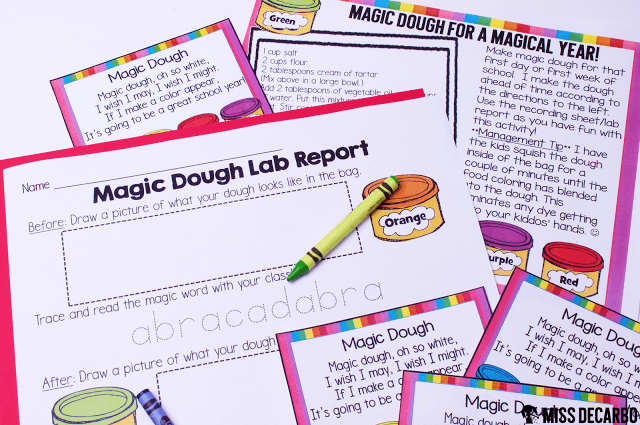 Once every student has a baggie of Magic Dough on his or her desk, I pass out a copy of the Magic Dough Lab Report. We talk about what it means to observe, say and trace the magic word, and then we get started with our very first science experiment! “Magic dough, oh so white, I wish I may, I wish I might. 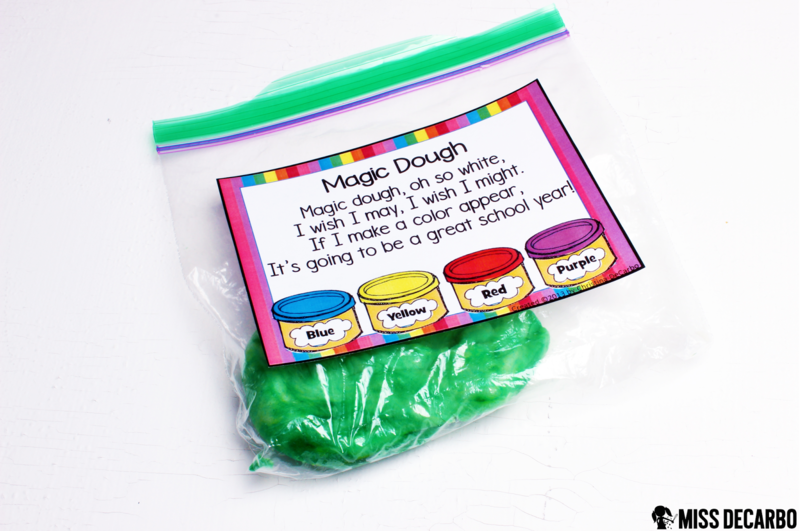 If I make a color appear, It’s going to be a great school year!” Once we say the magic poem, the students start to squish their play dough up IN the baggie (so as not to cause a food color disaster!). 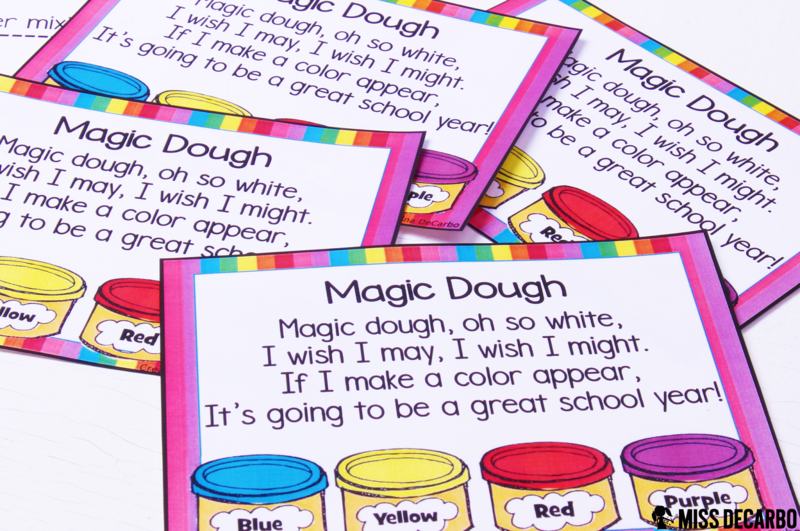 If their dough starts to change color, we know it is going to be a GREAT school year! After this initial activity, I usually have all of my students ECSTATIC to be in first grade and LOVING our classroom and school! They love drawing and coloring what their magic dough looks like after the experiment. 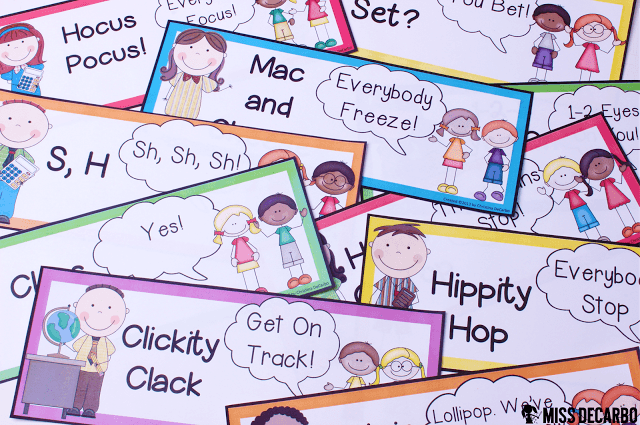 It’s the perfect way for me to set the tone for my students and get them excited for our year together. I proceed to explain that while we are in the hallway this year, we will use Marshmallow Toes & Voices at all times, so that we do not disrupt the learning happening in other classrooms. 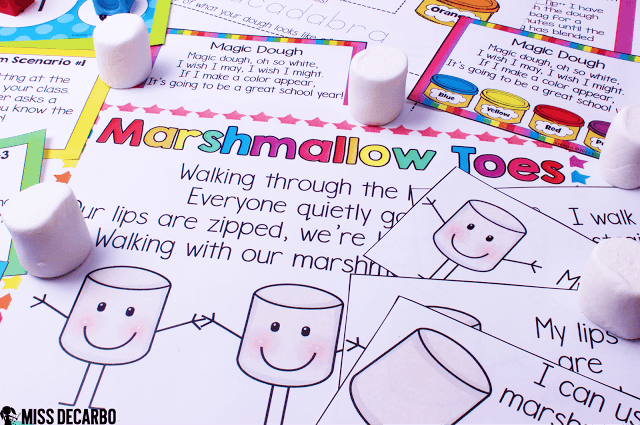 Marshmallows do not talk, and they are very quiet when they hit the ground. This year, we will also be like marshmallows. We will be silent in the hallways and use soft feet while we walk. After we return from using the restroom on our first day of school, we learn and go over our classroom rules. 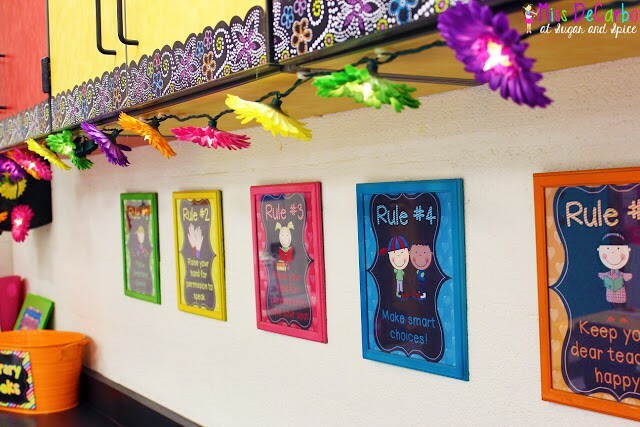 I use the Whole Brain Teaching set of rules for my classroom. We discuss each rule, and I have ALL of the students act out the rule with a partner. I then call on one partner pair to show the entire class how to follow each rule. This helps everyone get involved and allows them to interact and connect with new friends. You can find these Whole Brain Teaching Rules posters for FREE in my Teachers Pay Teachers shop by clicking HERE. 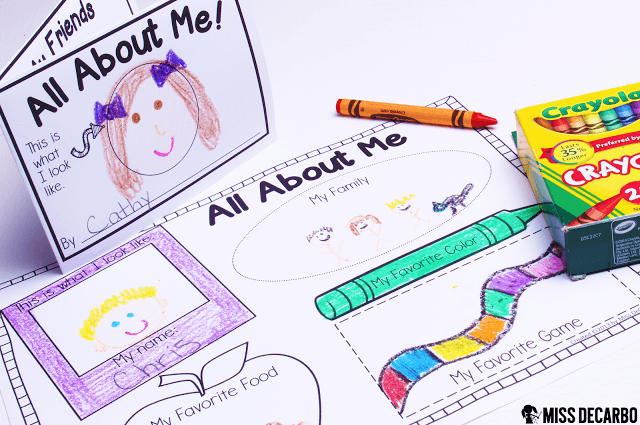 We start working on an All About Me poster before we go to lunch on the first day of school. It is a nice way to practice our “working expectations” at our desk and helps students unwind before the chaos and craziness of the cafeteria on the first day of school. It also gives me the opportunity to front-load directions for when we get back from lunch on the first day. I tell the students before we go to lunch, that we will work on our posters for a few minutes when we return from lunch/recess. Since we are not in any kind of “routine” yet on the first day of school, I want my students to know ahead of time what we will be doing when we return from lunch. This really helps calm the nerves of students who get anxious and thrive on “knowing what comes next.” (On Day 2 of school, we will start to learn our Daily 5 routines, and from that day on, my students will grab their book bins immediately after lunch, and meet me at the carpet for a mini-lesson.) I also love these little All About Me posters because I have 4-5 students share their posters at the end of the day during the first week of school. 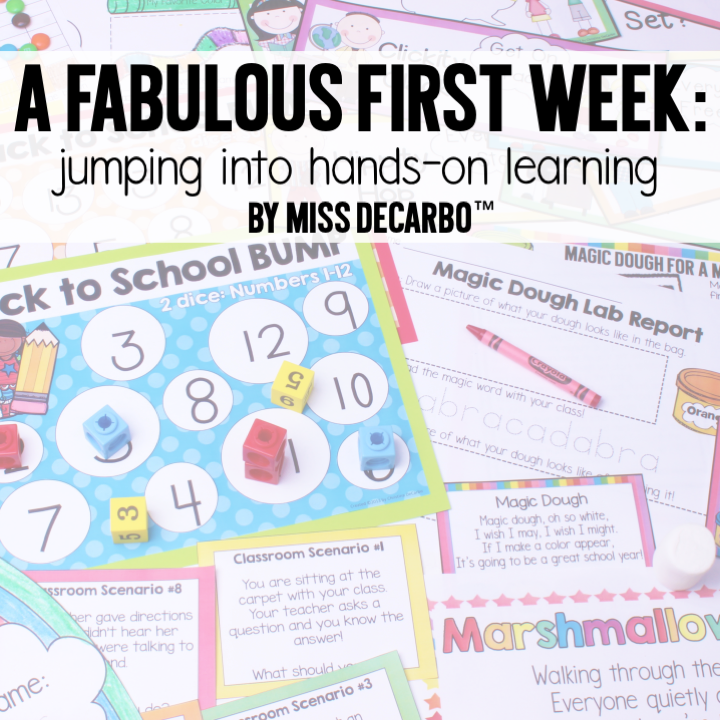 It helps us all get to know each other, and it’s important to me that every student has a few minutes to shine independently during the first week of school. This builds confidence and helps students feel comfortable talking and sharing with one another. My Back to School Pack also contains TONS of other All About Me activities. Starting on Day 2 of school, students work on their All About Me activities right before lunch, and I begin to pull students back for their DRA assessments. I think it is important to build some quiet “desk time” into our day during that first week, so that students can build stamina with independent work and practice the expectations and routines we discuss from Day 1. Character building is BIG in my classroom. I want to set the tone right from the first day that we are a classroom family who cares for one another and treats everyone with respect and kindness. 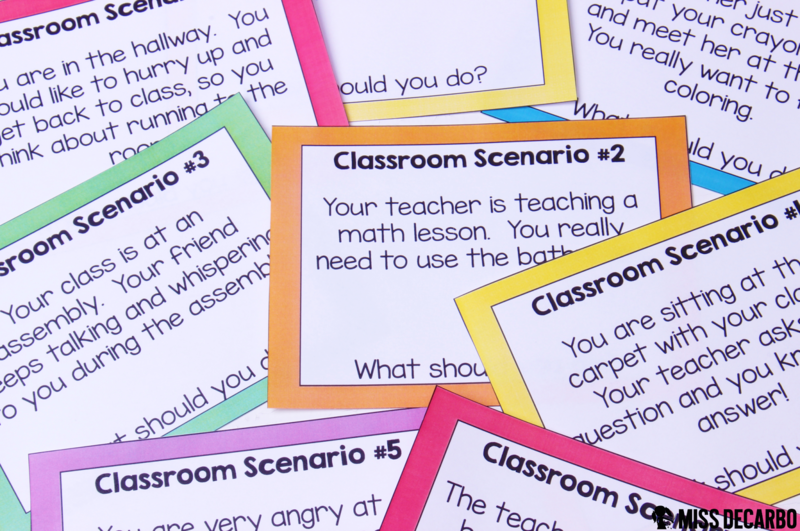 Throughout the first week of school, we gather at the carpet and work through my pack of Classroom Scenario cards from my Back to School pack. These cards have simple, everyday “situations” typed onto them. Each card leaves students with the question: “What would you do?” I read the card aloud, and provide students with a couple minutes of “think time” at the carpet. Then, I have the students turn and talk to one another, sharing what they would do in the situation. We then share our thoughts as a whole class, as we practice raising our hands to share and being good listeners. The cards discuss situations that might happen during recess, friendship issues, classroom problems, and situations involving our feelings and emotions. Having these DAILY discussions together during that first week of school shows my students that kindness, respect, behavior, and character are so very important in our classroom. 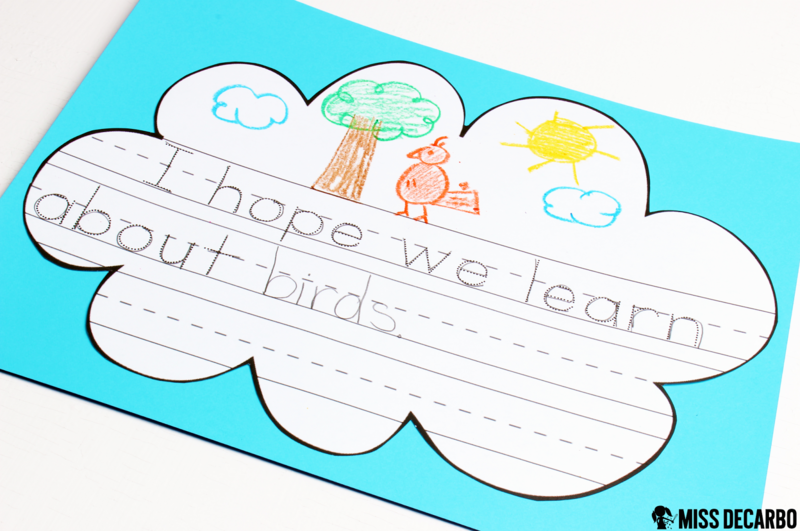 One of my favorite little writing activities during that first week is our Hopes & Dreams writing piece. We start by having a class discussion about our “hopes and dreams” for first grade. What do we want to do this year? What do we hope to learn about? We write down our hopes and dreams on this cute cloud writing template. (My pack contains three different versions of this writing template, so that you can differentiate according to your needs. 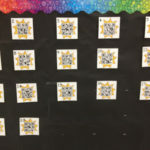 There is a picture-only version, a version in which the students can trace the writing prompt, and a template that has only blank writing lines.) This writing piece becomes one of the first bulletin boards we decorate in my room. I use blue background for the board, and then we hang up our Hopes & Dreams clouds. It is super helpful to learn what my students want to learn about this year. It allows me to pull books for small groups and read aloud that I know my students will be interested in. 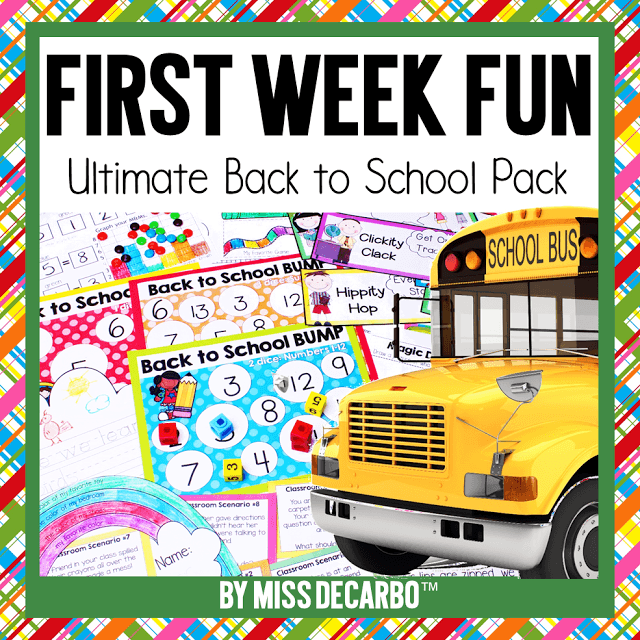 All of the activities, printables, and lessons within this blog post come from my Back to School First Week Fun Pack. 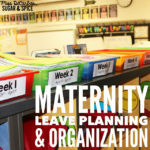 The activities I shared in this post are just SOME of the things you will find in this pack. 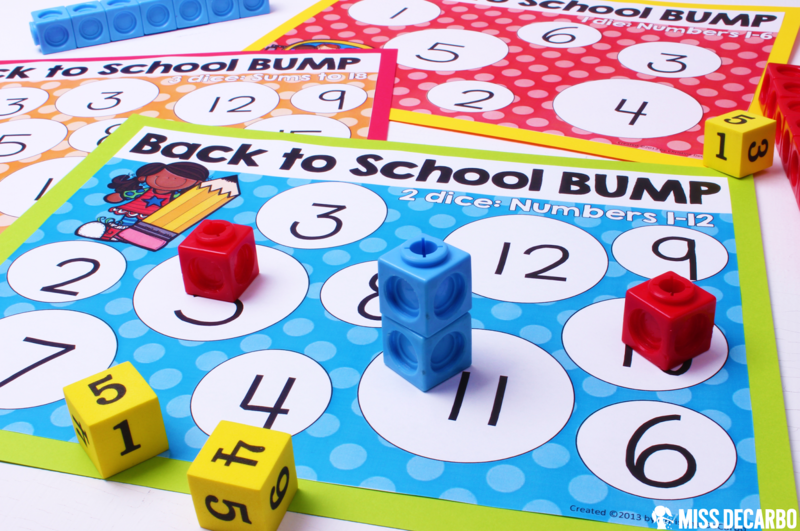 The pack contains TONS of other lesson plans, activities, and printables. 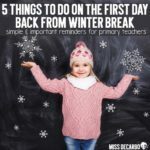 Some of these include a craft for the first day, read-aloud activities, class books, mini-foldable books, writing assessments and activities, additional math games, a classroom scavenger hunt, and more! Thank you for all of the wonderful ideas! How far in advance can I make the magic dough without it getting hard?